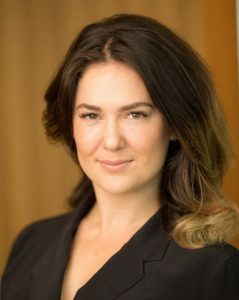 Meltem Demirors is Chief Strategy Officer of CoinShares, the leading digital asset manager, and a cryptocurrency investor, advisor, and advocate, with a unique blend of experience in both legacy & blockchain-based finance and cryptocurrencies. On the legacy finance front, Ms. Demirors worked with some of the largest companies in the world, mainly on financial risk management and capital efficiency. On the blockchain-based finance side, she has had an intense focus on portfolio management and network development, beginning in the early days of cryptocurrency ecosystem development. In her role at CoinShares, Ms. Demirors is building CS Treasury, a service that helps crypto firms and projects optimize treasury assets using structured strategies to risk optimize liquidity, make sound financial investments for the future with any excess cash, and enter into hedges against financial risks. In addition, she serves as the managing director of the firm’s US operations. Ms. Demirors most recently served as Vice President of Development at Digital Currency Group, where she managed an investment portfolio of 110 companies cryptocurrency and blockchain companies across 30 countries and advised some of the world’s largest financial institutions and corporations. Ms. Demirors currently invests in and advises cryptocurrency and blockchain startups via her personal investment vehicle, Athena Capital, and serves as a partner at 3.0 Capital, a leading crypto fund. She advocates for a number of industry initiatives focused on market infrastructure and portfolio management practices; most notably via her participation in the World Economic Forum Blockchain Council. Ms. Demirors holds a BA in Mathematical Economics from Rice University and an MBA from the MIT Sloan School of Management. She works closely with the academic community on education efforts, and helped create the MIT “Future of Commerce” online course and the Oxford Saïd Business School Blockchain Strategy Program. Ms. Demirors writes a blog on leaders in the cryptocurrency and blockchain ecosystem, called The Collective, and is passionate about financial privacy and civil liberties.